South Korean banks’ non-performing loans (NPL) ratio stayed under 1 percent for a second consecutive quarter in the further quarter last year after major corporate restructuring in the country has been mostly completed. According to data released by the Financial Supervisory Service on Thursday, Korean banks’ NPL ratio stood at 0.97 percent as of the end of December last year, up 0.01 percentage point from three months ago and 0.22 percentage point from a year earlier. It is the second consecutive quarter for the ratio to stand under 1. The NPL ratio refers to the amount of non-performing loans over total outstanding loans and is one of key indicators that assess a bank’s asset quality. Bad loans are loans whose interest has not been paid for more than three months. With the completion of most major corporate restructuring, banks can now enjoy low NPL ratio despite a rise in household loans, which are easier to manage compared with corporate loans. In terms of value, non-performing loans held by Korean banks fell to 18.2 trillion won ($16.1 billion), down 3 trillion won from a year ago. Loans extended to corporations accounted for 89.9 percent or 16.3 trillion won of total non-performing loans, while those to households 1.7 trillion won, and credit card loans 200 billion won. The NPL coverage ratio stood at 104.9 percent as of the end of December, up 11.3 percentage point from a year ago. New bad loans increased 1.4 trillion won from a year earlier to 18.6 trillion won. New bad loans to businesses increased 1 trillion won to 15.6 trillion won while to households 400 billion won to 2.5 trillion won. The bad debt ratio for business declined 0.33 percentage point from a year earlier to 1.43 percent as of the end of December. The ratio for large companies declined 0.74 percentage point to 2.1 percent during the same period while that for small- and mid-size companies 0.07 percentage point to 1.05 percent. Despite deteriorating management conditions, the NPL ratio for individual business stood at 0.36 percent, a similar level to last year. The NPL ratio for household debts also edged down 0.01 percentage point to 0.23 percent. 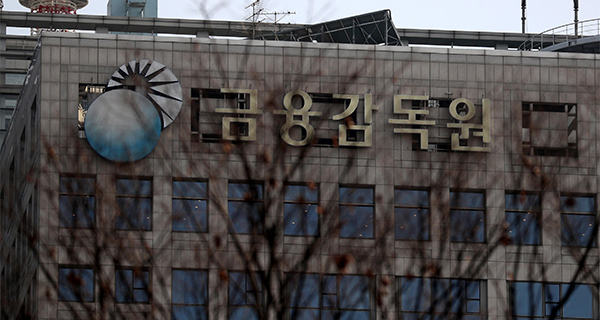 Last year, Korean banks cleared 21.6 trillion won worth of bad debts, up 900 billion won from a year earlier. They wrote off 6.8 trillion won worth of bad debts, collected 5.8 trillion won worth of loans through mortgage disposal, 4.2 trillion won through sales, and 3.8 trillion won credit normalization.